What is Society?—Perhaps the great question which sociology seeks to answer is this question which we have put at the beginning. Just as biology seeks to answer the question "What is life? "; zoölogy, "What is an animal? "; botany, "What is a plant? 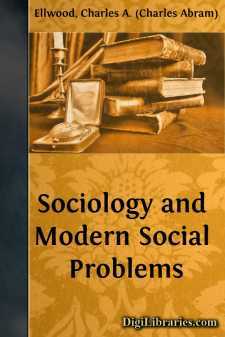 "; so sociology seeks to answer the question "What is society?" or perhaps better, "What is association?" Just as biology, zoölogy, and botany cannot answer their questions until those sciences have reached their full and complete development, so also sociology cannot answer the question "What is society?" until it reaches its final development. Nevertheless, some conception or definition of society is necessary for the beginner, for in the scientific discussion of social problems we must know first of all what we are talking about. We must understand in a general way what society is, what sociology is, what the relations are between sociology and other sciences, before we can study the social problems of to-day from a sociological point of view.